2016 - 2018 Mercedes Metris Driver Seat Swivel Adapter *see product description for correct fit - In Stock! 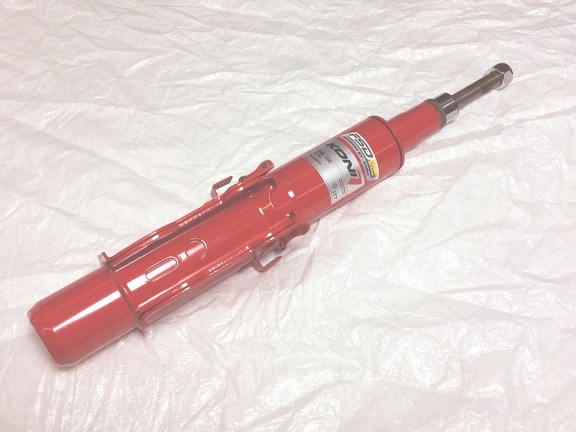 Koni FSD Front Shock Absorber for 2007 - 2018 Sprinter 2500 (replaces 87-2656) for models with 4 or 6 cylinder engine. *Not for 4x4 models. The first shock absorber that offers superior handling without compromising comfort. You can´t find a better shock for your Sprinter than FSD: KONI frequency selective dampers. We have combined the benefits of performance and comfort into one shock absorber. FSD is firm for control over large bumps and corners, but soft for comfort over expansion joints and rough roads. While KONI is known to reduce bouncing in motorhomes, our FSD shocks include a special valve that filters out annoying vibrations before they enter the coach. The result is an incredibly smooth ride, with plenty of shock left to control pitching and swaying. FSD takes body control to the next level! The first shock absorber kit offering superior road-holding without compromising comfort. KONI presents FSD, the first no-compromise shock absorber in the world. A revolutionary technique which combines the benefits of both firm and comfortable suspension in a single perfect shock absorber. KONI introduces a shock kit consisting of front and rear shocks. Firm for sporty driving on even road surfaces. Comfortable for a smooth ride on uneven road surfaces. KONI FSD realizing the seemingly impossible! Two characteristics that seemed diametrically- opposed, proved to be a source of inspiration for specialists from KONI. Following lengthy development and testing, the ultimate solution was reached: KONI FSD - Frequency Selective Damping. A revolutionary technique whereby the benefits of both types of ride characteristics are combined in one perfect shock absorber. Banishing the disadvantages of the past. FSD shock absorbers; a smart suspension system adjusting automatically to road conditions as well as driving style. And all of this in a fraction of a second. FSD guarantees greater stability, greater control and thus greater driving pleasure. To learn more about this technology, click to see how FSD works. KONI reconfirms with the FSD innovation a leading position as innovative supplier of high-quality shock absorber products. Koni shocks have a limited lifetime warranty. Usually ships by the next business day. Allow an additional 1-5 business days for delivery to most US locations.